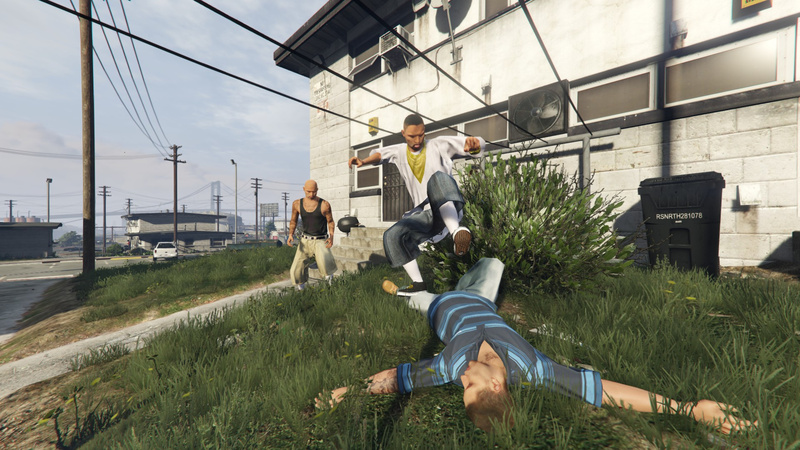 Gangs V aims to bring the gangs in GTA V to life. 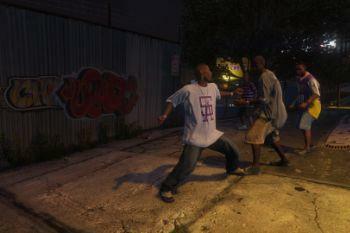 In the Vanilla game, the gangs play little-to-no role, basically just being used as ambience placeholders. I put an end to that; I've fine-tuned the relationships between each gang/set, recreating relationship groups from scratch and added a group for each specific set. 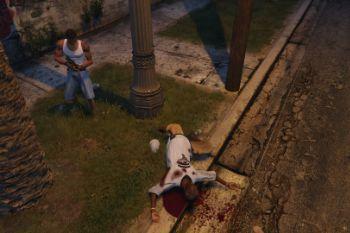 Each relationship reflects that of the gangs according to the GTA Wiki and various other research methods, various sets beef with other specific sets - for example, the Original Covenenant Ballas and the Chamberlain Gangster Families are the main sets in each gang, and they beef with eachother. 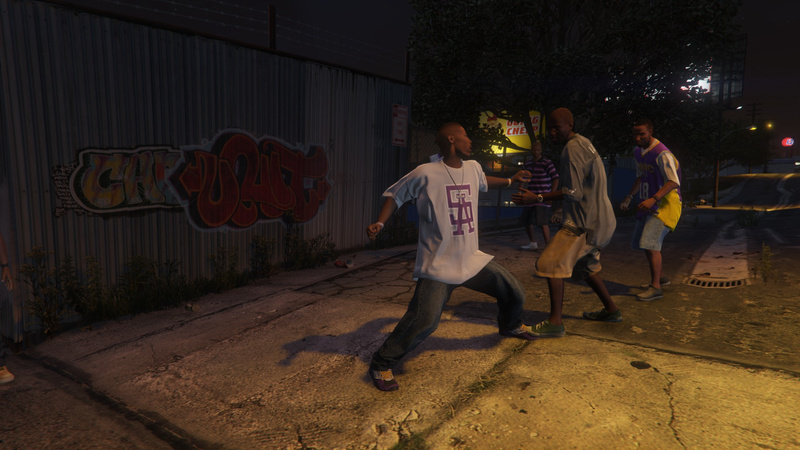 Then there's the East Side Ballas who are a smaller branch of the Ballas, and act as the "enforcers" - therefore beefing with both CGF (the "main" set) and Davis Neighborhood Families (the Families "enforcer" set). 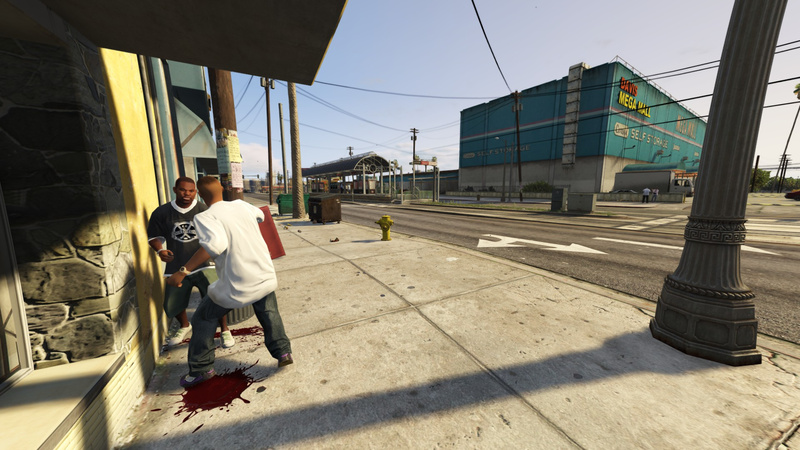 Rival gangs will now be seen encroaching on other gang territory, as well as being seen around Los Santos in places they weren't able to spawn before. 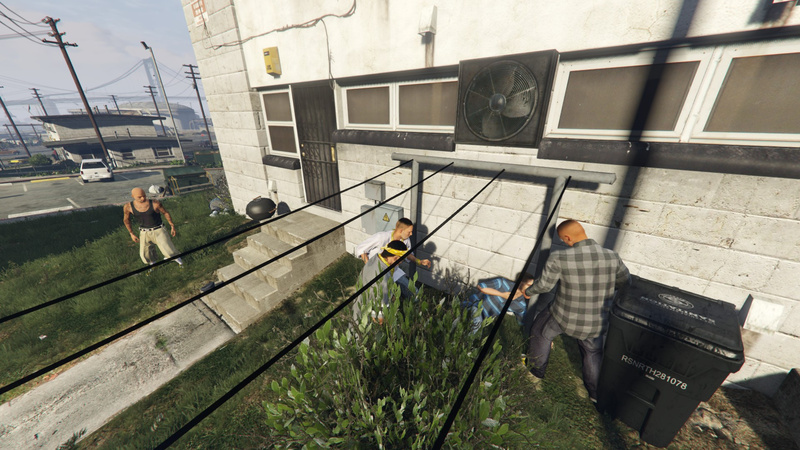 You may catch some Families gang members in West Vinewood, or some Ballas gang members in the Vespucci Canals. 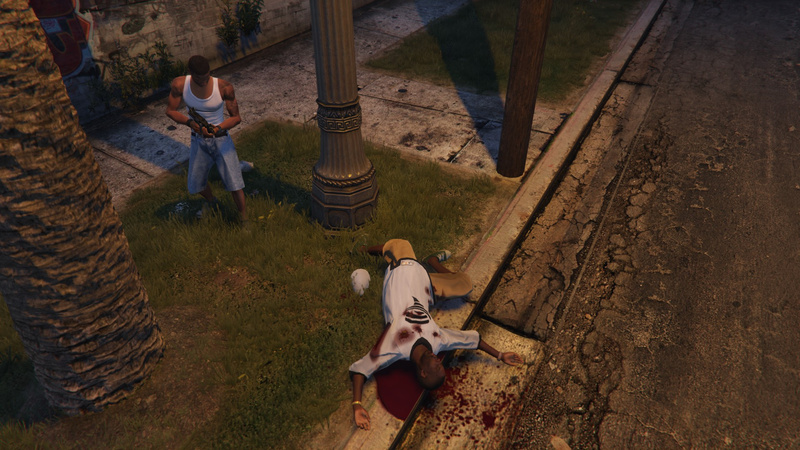 I've set the only "war" zones to be in South Los Santos. The gang loadouts have been tweaked extensively, adding a huge variety of weapons to their arsenal, though a lot less people will be strapped. 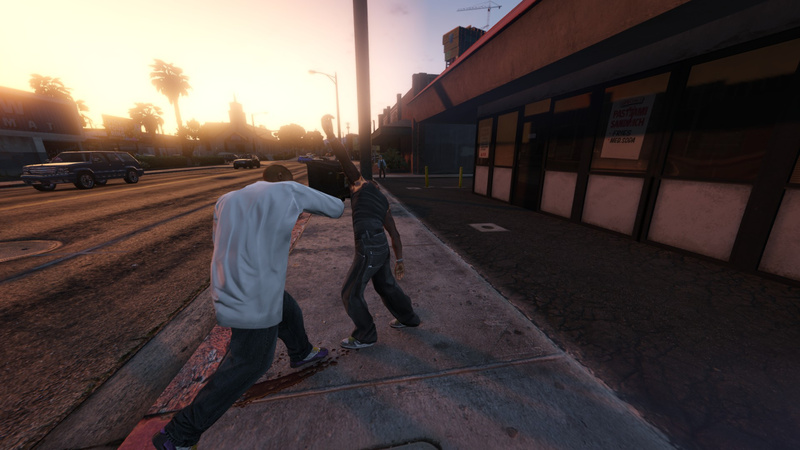 For realism purposes, I've toned down the number of gang members who are actually holding a gun a LOT, therefore you see a lot more fights and not every gang member you provoke will start WW3 wherever you are, though it can. 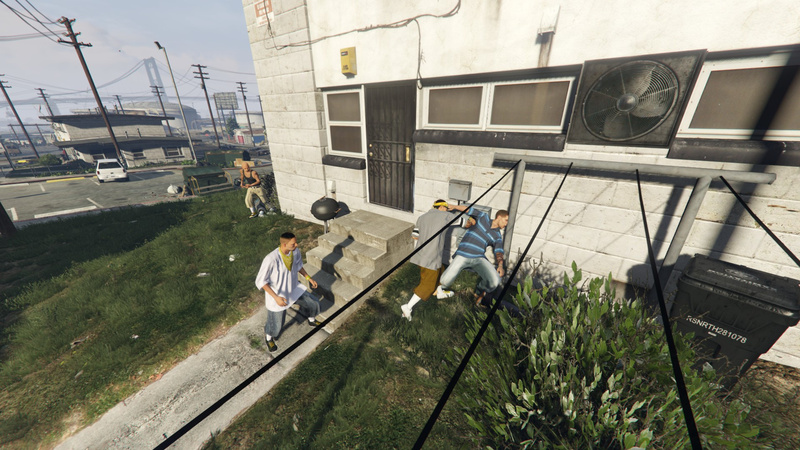 Enjoy watching Ballas gang members attempt to jump a Families gang member, only for the Families member to pull out a Compact Rifle and get to dumping while the others run. Very satisfying. 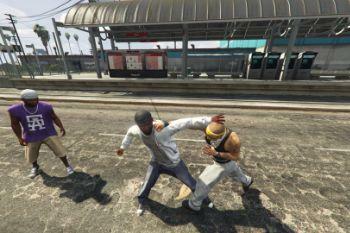 Optional fighting files: The optional fighting files are damn-near a necessity. They make the peds fighting a LOT more fun to watch, and make them harder to fight. 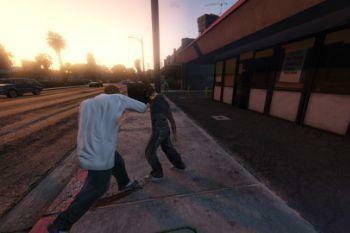 The damages are tweaked to be more dynamic, and to make fights last longer. 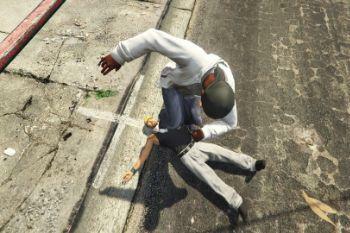 The peds ragdoll a LOT more when fighting as well, which may not be everyone's taste, but I love it personally. Ped health is also tweaked to be lower, this isn't necessarily needed but due to preference I threw it in there. 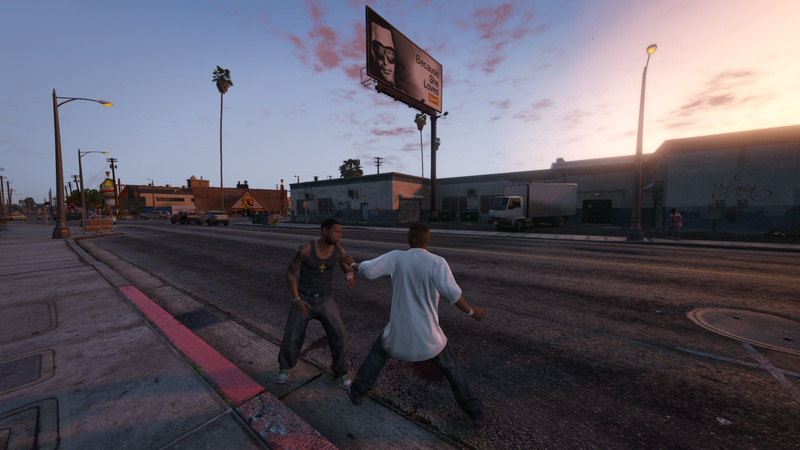 Optional peaceful gang cars script: When using these files without this script, gang members tended to hop out of their vehicles at every intersection to attack a rival and it would just always cause a huge mess. This script basically just checks if the ped is a gang member, and if he is in a car, and if so it changes his relationship group. All in all, this is just to keep the gangs more ambient than anything - so they don't disrupt more than they need to. 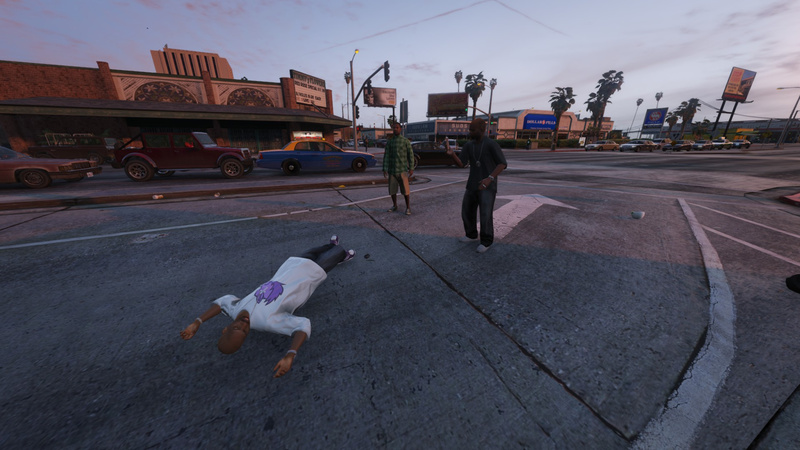 You will still notice gang members hopping out of cars, but not NEARLY as much as without this script installed. 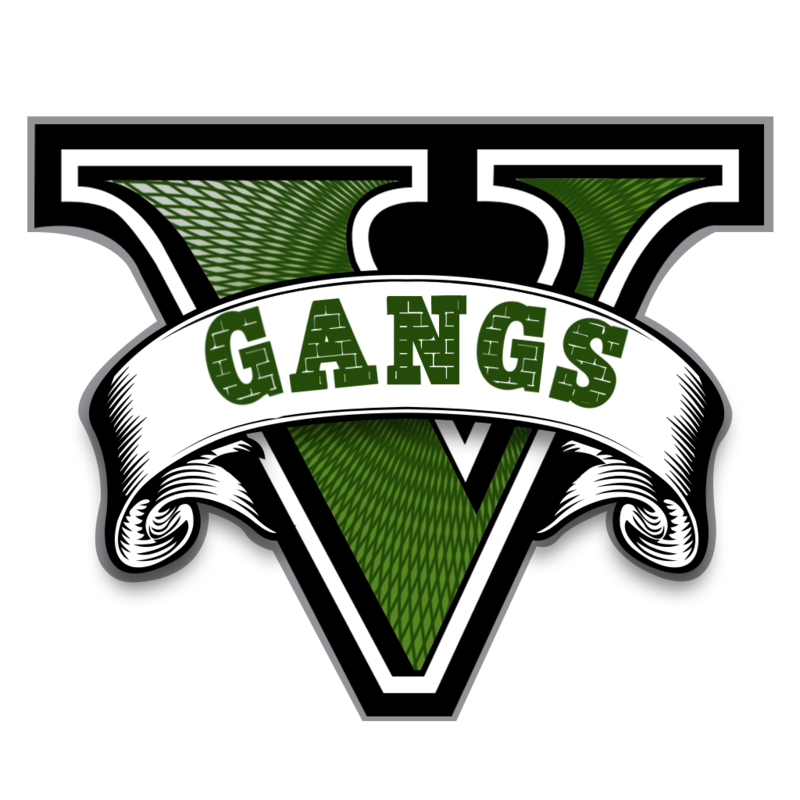 Optional join gangs script: Very, very simple script that allows you to join one of the Families relationship groups (DNF, CGF, or CAF) therefore making any rival set attack you on sight. Just a little extra fun. F5 to join DNF, F6 to join CGF, F7 to join CAF. - Chamberlain Gangster Families: The largest, main set of the Families, the Chamberlain Gangsters dominate the Chamberlain Hills, Strawberry, and Mission Row areas. 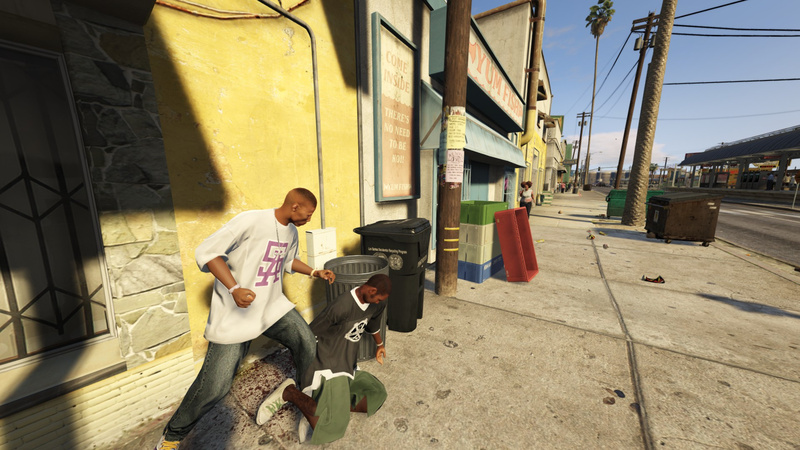 They beef with the main sets of the other two South Los Santos gangs, the Original Covenant Ballas and the Original Los Santos Vagos. - Davis Neighborhood Families: The younger, more rowdy set of the Families, DNF occupy almost all of South Central, save Rancho. They can be seen in Chamberlain, Strawberry, and Davis. 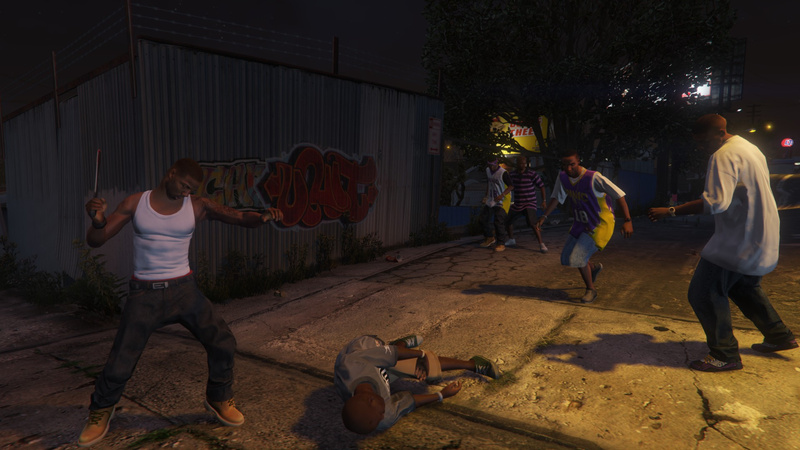 The Davis Neighborhood Families are considered the "enforcer" set of the Families, doing most of the dirty work out on the streets and handling majority of the beef - DNF beefs with the East Side Ballas, Original Covenant Ballas, and East Side Vagos. - Carson Avenue Families: The Carson Avenue Families are considered a "rogue" or "cutthroat" set, they fall under the Families card and are still allied with the other sets but typically do their own thing and have been known to not play nice with some of the other sets. 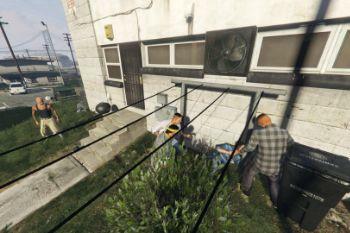 They can be seen around Chamberlain Hills and Davis, and have had members spotted around Del Perro Beach and West Vinewood. They beef with the Rancho Ballas and all of the Vago sets, though they're definitely not friendly with the other Ballas sets. 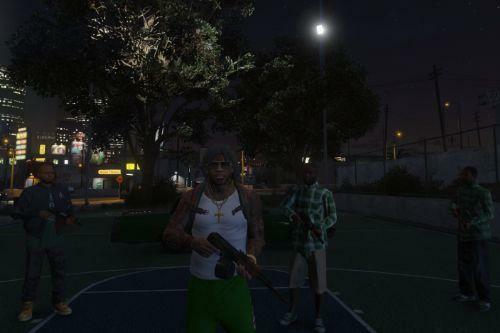 - Original Covenant Ballas: OCBG is the main Ballas set, tending to stick more to their home-territory in South Central, yet expanding out beyond the ghetto - the Original Covenant Ballas can be found in Davis, Vespucci Canals, and East Vinewood. 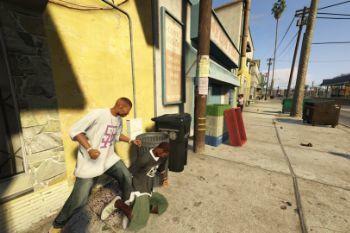 They beef with the other main sets of the South LS gangs, the Chamberlain Gangster Families, and the Original LS Vagos. 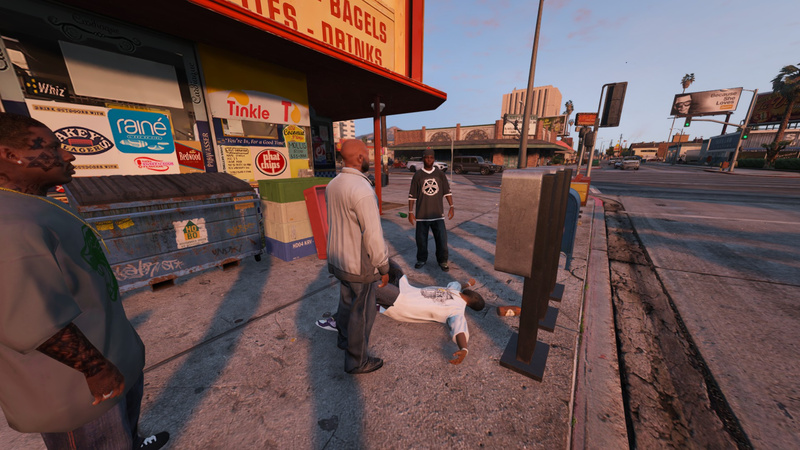 - East Side Ballas: the East Side Ballas are the gang's doberman set, acting as the street enforcers and taking responsibility for majority of the street crime in and around Davis. They can be found in Davis, Strawberry, Chamberlain, and Mirror Park. ESBG beefs with Davis Neighborhood Families, Chamberlain Gangster Families, and the East Side Vagos. - Rancho Ballas: the Rancho Ballas typically do their own thing and stick to their own beefs, but they're not considered a "rogue" set like Carson Avenue Families, they are very supportive of their neighboring sets. Rancho Ballas are based out of Rancho, Davis, and Banning, and they beef with all of the Vagos sets, the Aztecas, and the Carson Avenue Families as well. To install, use OpenIV and follow the folder paths I have set up inside. 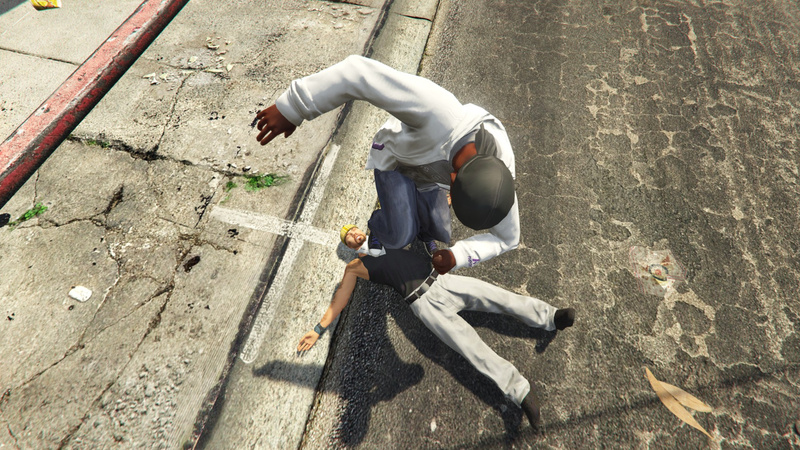 Anything that is a .dll, put it in the "scripts" folder in your main GTA directory. 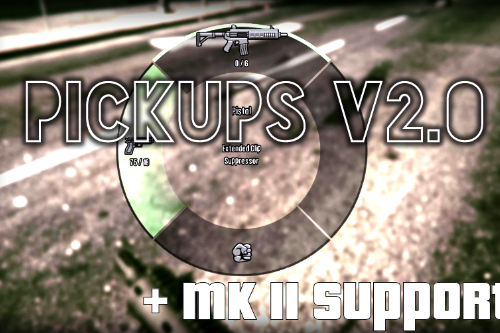 This mod replaces game files, therefore if installing on top of other mods make SURE that this won't replace files NEEDED by that mod, or it could break your game. If you have any questions, concerns, or suggestions, feel free to leave a comment and tag me. 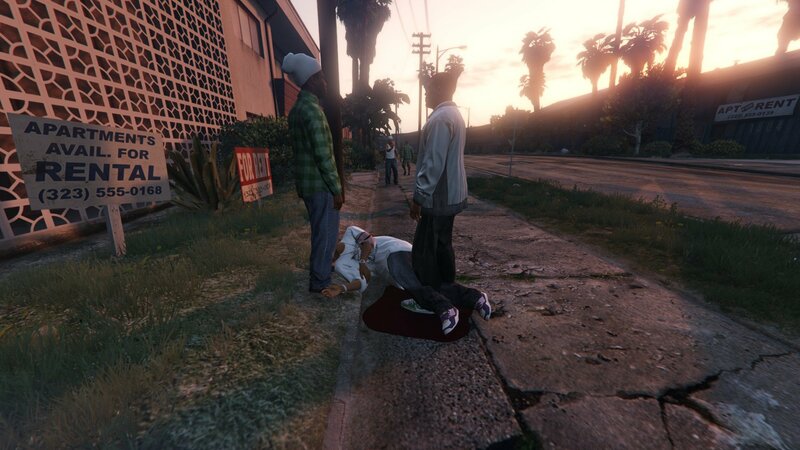 - Increased gang activity around South Los Santos. 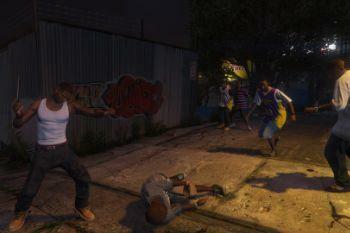 - Expanded Hispanic gang warfare, East Los Santos is now vied after by both the Vagos and the Marabunta Grande. 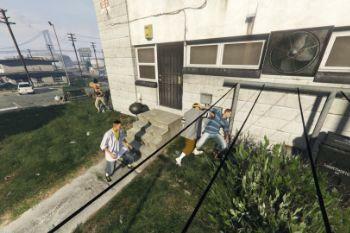 - Loadouts tweaked again, Hispanic gangs are more likely to be carrying weapons due to their role in arms trafficking around Los Santos. 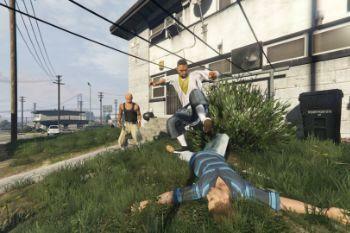 - Few spawns changed, made the "enforcer" set of each gang the main aggressor when it came to encroaching on rival territory. 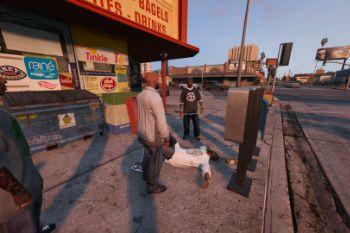 will turf war be part of this gang mod, or perhaps you can merge your ideas with one of the turf mod authors here? 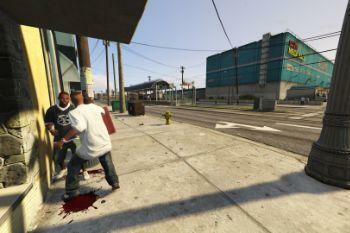 Or if not, then maybe add a trafficking war of sort, where you are called in for random events to do deals, defend or attack/ambush certain objectives, or even sellout the gang after joining a gang to increase/decrease gang reputation (which can affect stuff like income and opening up various oddjobs, like deliveries, stalking, assassinations, etc.) 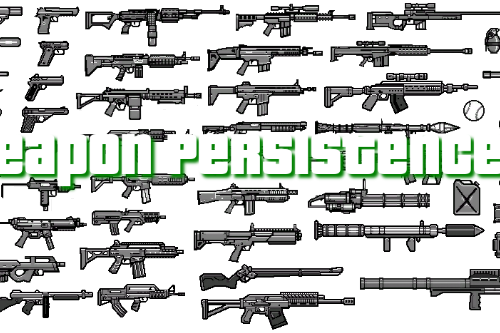 and maybe even a leveling system for unlocking weapons and stuff? It would be real cool to have a massive shootout with opposing gangs, and have some benefits after winning a shootout, move up he social ladder within a gang, or have the ability to backstab them and take over all the resources. Haven't gotten to try this yet because i'm out of state, but is there a chance you could make a script that actually puts gangs where they're supposed to be and one that stops the sets from mixing and give a set their own established turf? It always irked me that Rockstar mixed them together. I could tell you areas that would be dope to use if you want. 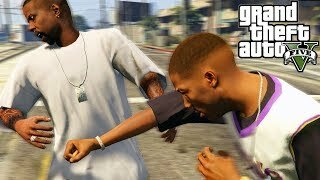 @dev614 Since you do scripting already, can you also make script that forces gangs actually using their cars with liveries? 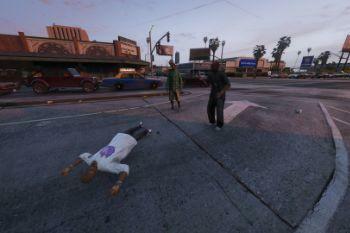 I tried to spawn gang cars (chino2, bucanner2 etc.) as ambient with no scripts with combination of carvariations.meta and vehiclemodelsets.meta, but they spawn either plain with no upgrades and liveries (carvariations), or upgraded, but parked (vehiclemodelsets). I would like to have gang cars (lowriders) with specified color and livery (and upgrades, like speakers etc.) 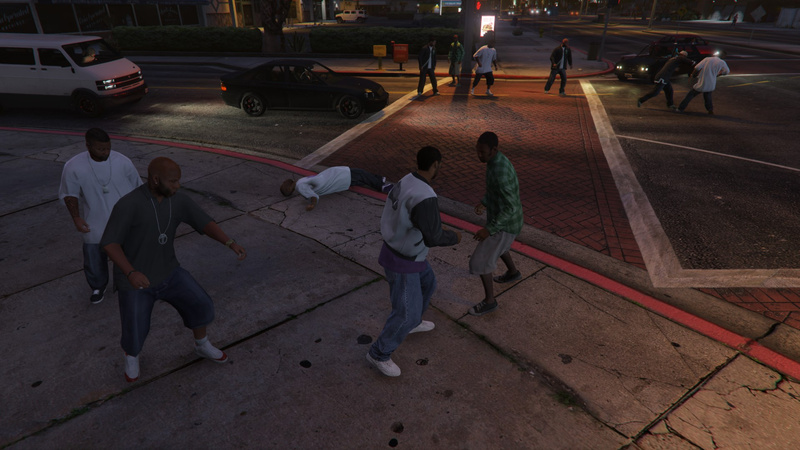 to drive around and I don't mind gang members jumping out of them. 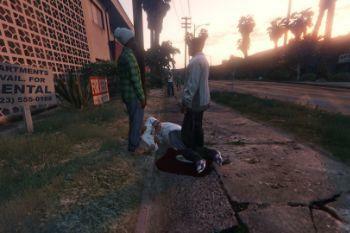 Your script PeacefulGangCars.dll also affects aggressivity of gang members and their spawn rate. Instead of 5-15 members attacking me I have only 1-2 and also they run sometimes, so not good really. I really like your idea and what you are trying to do. i am trying and struggling to do the same last few months. Like nobody on this site gives a damn about the vanilla ambient gangs without fighting some stupid territory wars. I only want them to have cool cars, shoot each other on sight and drive around in cool cars. How difficult is to make it for God's sake? @dev614 I also tried to convince the author of the gag and turf mod to make the gang cars cool, but he doesn't care, or his script is too complicated anyway. 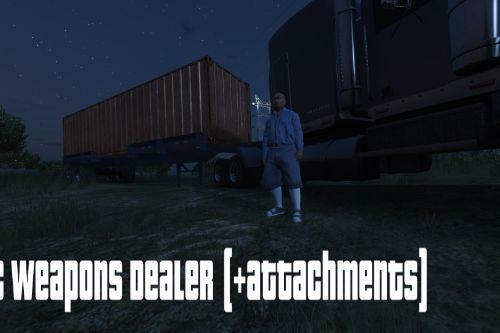 I decompiled the https://www.gta5-mods.com/scripts/dlc-vehicles-spawn-on-traffic which is not that complicated and does what I want, but I know nothing about proper format for programming a script. All I can do is change, but not create. 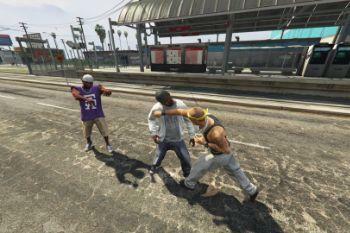 It could be changed to spawn upgraded gag cars for each gang (even random upgrades are fine with me, if the gang color is the same). You could incorporate this to your mod. What do you say? can you make a compatible version for vanilla work extended?? @dev614 Any chance we could get an OIV installer? 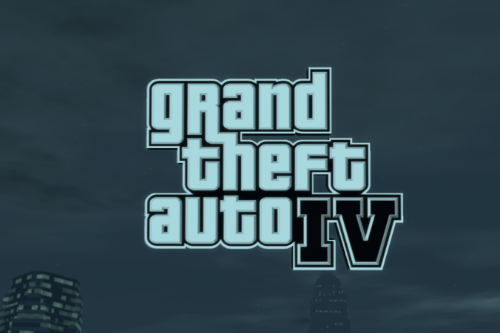 I love this mod, but it's a PIA to reinstall. @dev614, Hey man, are you still around? 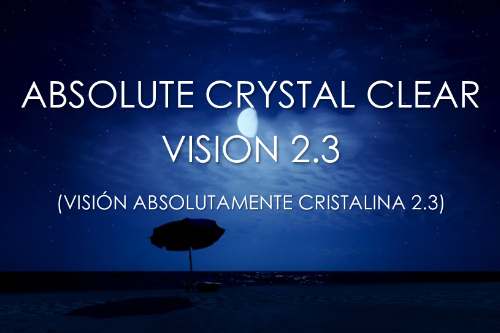 Just wanted to ask you a few questions about this mod. 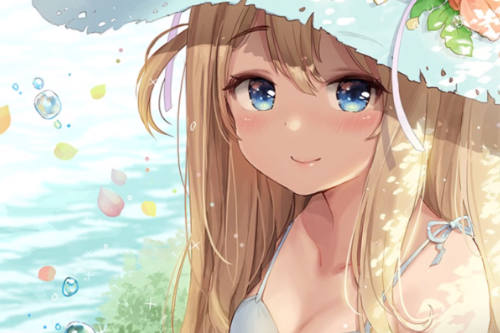 Can you chat on steam or discord possibly? This mod badly ruins my FPS, I had to remove it. 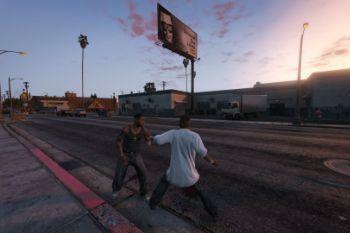 @dev614 Great mod however I have one issue which is that the brawls/street fights are near non-stop, undermining the realism. 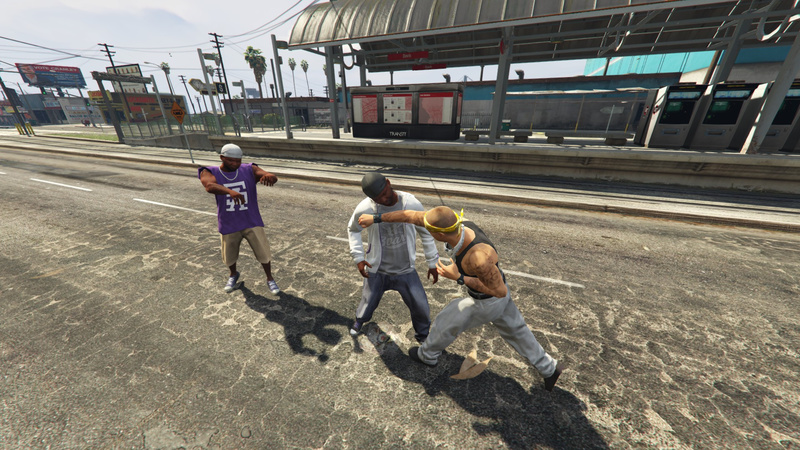 Part of it seems to be just spawning gang members too close to eachother - I like that they can be found outside their hoods but it leads to constant fist fights and often usually between 3 different gangs. 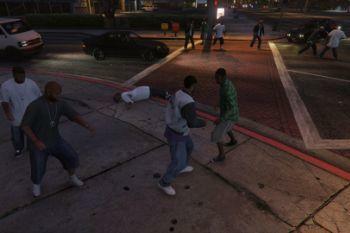 I do also see the family gangs brawl amongst themselves fairly regularly. 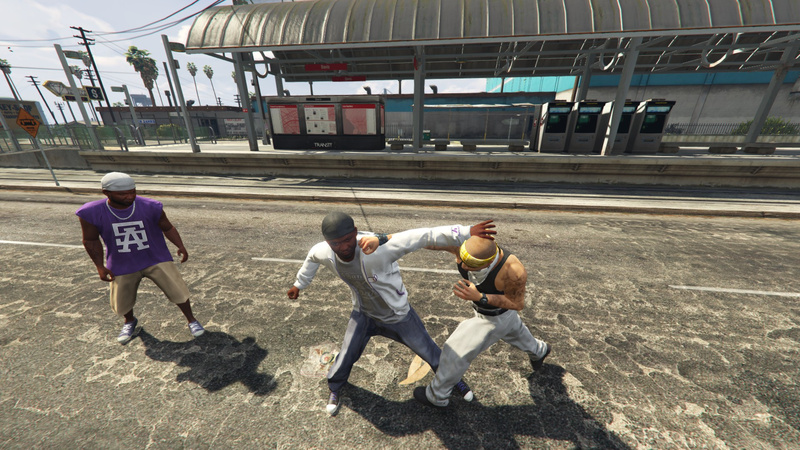 Otherwise I prefer the realism of this mod to other gang mods. Also if ever possible adding a key to join ballas/vagos sets would be great, I like playing as them with a skin/ped changer but you don't get treated as one. im not that great at modding enough to know wat to do. u have so many files here in these folders idk wat to replace. can u explain?